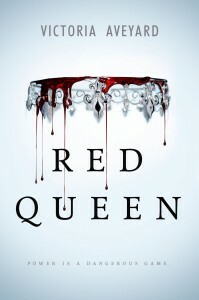 I have wanted to read author Victoria Aveyard’sRed Queen ever since I first caught wind of its premise. The cover was absolutely gorgeous. The complete synopsis was amazing. A society that is divided in half literally by blood? Definitely my cup of tea. I can say that Red Queen wasn’t at all what I imagined it to be. It was far better than anything I could have come up with. Red Queen is a non-stop rollercoaster that will constantly keep readers guessing and leave them coming back and begging for more. Taking place in a world where mankind is separated by two different species—the Red Bloods and the Silver Bloods—Red Queen follows the story of seventeen-year-old Mare Borrow, a girl who has grown up knowing only hardship. The Silver Bloods rule over the Reds, treating them like slaves, conscripting them while they are young and forcing them to fight in their wars. The Silvers are a force to be reckoned with. Born with fantastic abilities that are beyond a Reds wildest imaginings—no Red would ever be able to stand against them. When Mare meets a strange man one night, the very last thing she expects is to be taken from her home and brought into another to work as a servant to the crown. However it’s one accident that changes Mare’s life forever. Suddenly she is no longer a Red girl but living under the charade of a Silver who is betrothed to one of the Crown Princes, hiding a dark secret that threatens the order of everything. My main problem with most plots that are similar to that of Red Queen’s (i.e. 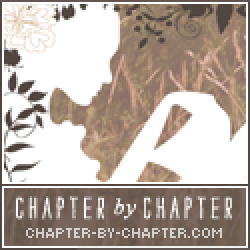 girl discovers that she’s an anomaly) is that things start to get predictable. Especially when romance elements are tossed in. What makes Red Queen such a refreshing and downright good read is the fact that nothing about it is predictable. There is no set way to get from point A to point B. Every single thing that could possibly go right tends to never go right. There are plot twists that completely devastate a plan that could be set in place by characters and drags them into a further state of chaos. The story that Aveyard has created is as brilliant as it is addictive. The cast of characters in Red Queen come off as typical at a first glance. We have the reluctant protagonist, the brooding hero, the bitchy princess, and the younger brother living in his sibling’s shadow. Originally, I thought that this would be a very cliché cast that I wouldn’t be able to read through. However as the story further develops and we get to see who these characters are beyond the surface, they do undergo some serious development. Which plays a key role into everything that could go right in the plot taking a dramatic turn in the opposite direction. Aveyard’s world is one that I would love to see come to life. A world that is filled with half the population living in servitude and the other half living with magic abilities, is one that should definitely be explored further. I have to admit though that I wish there could have been more exploration into just exactly what the setting is. It’s implied that this new world is the result of something that wiped out our modern world (with characters referencing a term as a ‘before’ thing) but I’m still a bit spotty on just what happened. Is this dystopia? Fantasy? Both? Someone please let me know. I would recommend Red Queen to any readers who are looking for a novel that will keep them on their toes and completely devour them whole. It’s a novel that grips you and holds on until the very last page. Readers who want a novel that is all about deception with a side-plot involving romances and alliances should give Red Queen a look. Any readers who want to be immersed in a world that is unforgettable should also give it a try. Definitely a read that will keep me on the edge of my seat for book two.